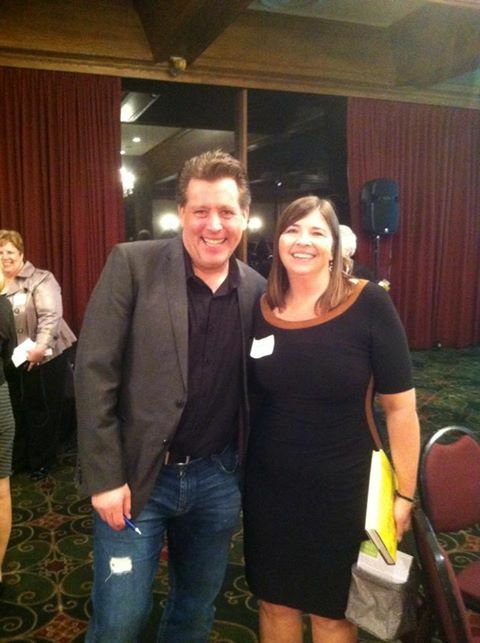 I was fortunate to see Peter Shankman speak live and in person Weds. night at a fabulous event honoring women in small business sponsored by the Women’s Small Business Accelerator here in Columbus. Peter talked about simple ways to improve customer service (based on his new book, Nice Companies Finish First), such as just smiling at customers who enter your business—did you know this dramatically increases the likelihood that they’ll purchase something? This is so true…but sadly, not the norm. I have a pet peeve about walking into a store and having no one greet me or smile… yet it’s SO easy to do this…it should just be part of doing business. Unfortunately, it’s become the exception. I was raised in a family business where we all took care of customers at our produce market. I always enjoyed interacting with people, so it was natural for me to smile and to try to provide them with good service. Beyond that, I think we watched our parents and how they interacted with customers and took cues from that. My dad was well known with his customers for his sense of humor. He was always good naturedly joking around with customers, and they loved it! You want visiting your place of business to be enjoyable for people. This makes it more likely that they’ll come back. It’s simply human nature. Standards are so low these days…why not rise above and try to put forth just that little bit of extra effort to make your business stand out from the crowd? Can you tell I’m passionate about this stuff?! And so is Peter, which is why he’s a rock star!